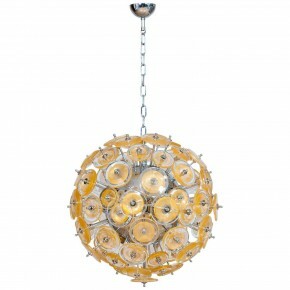 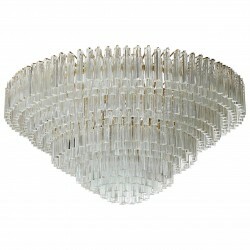 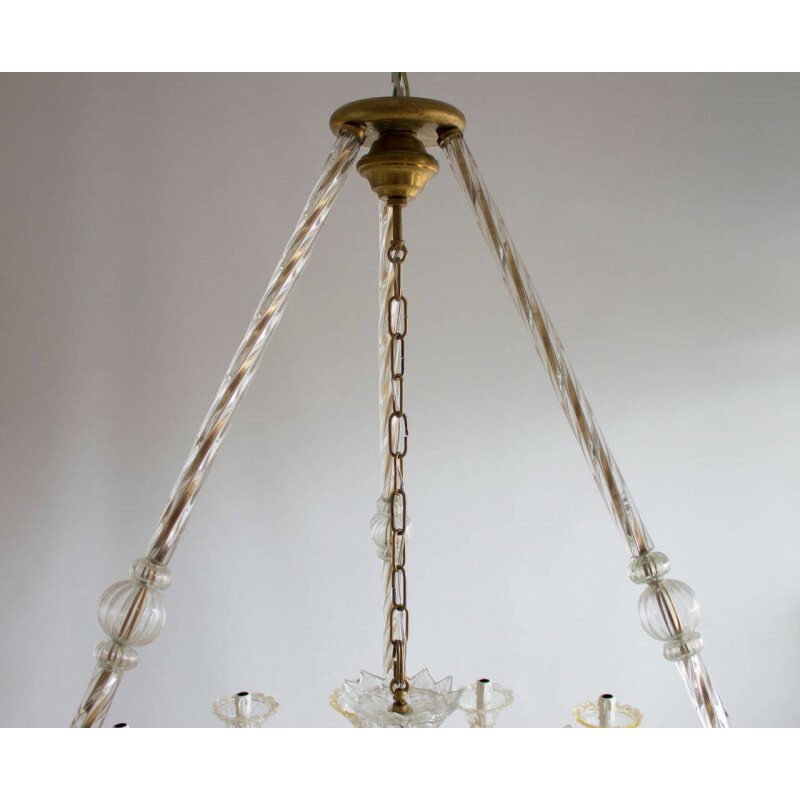 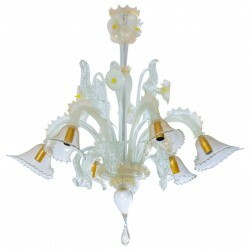 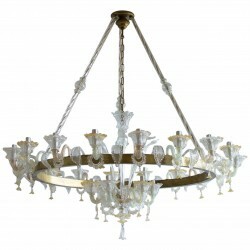 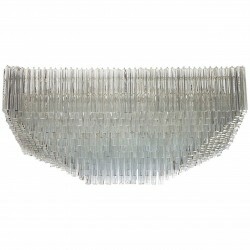 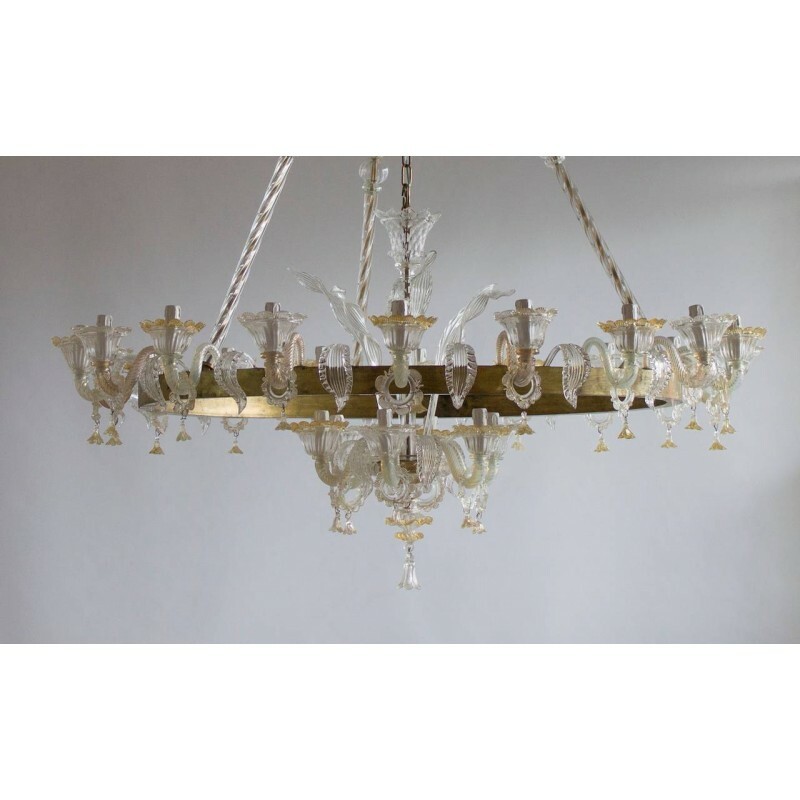 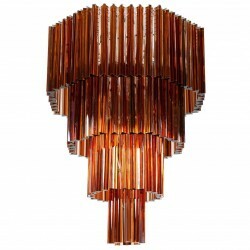 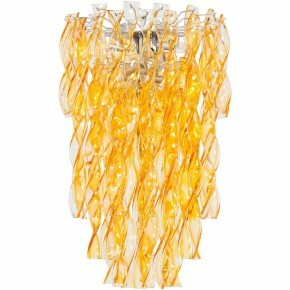 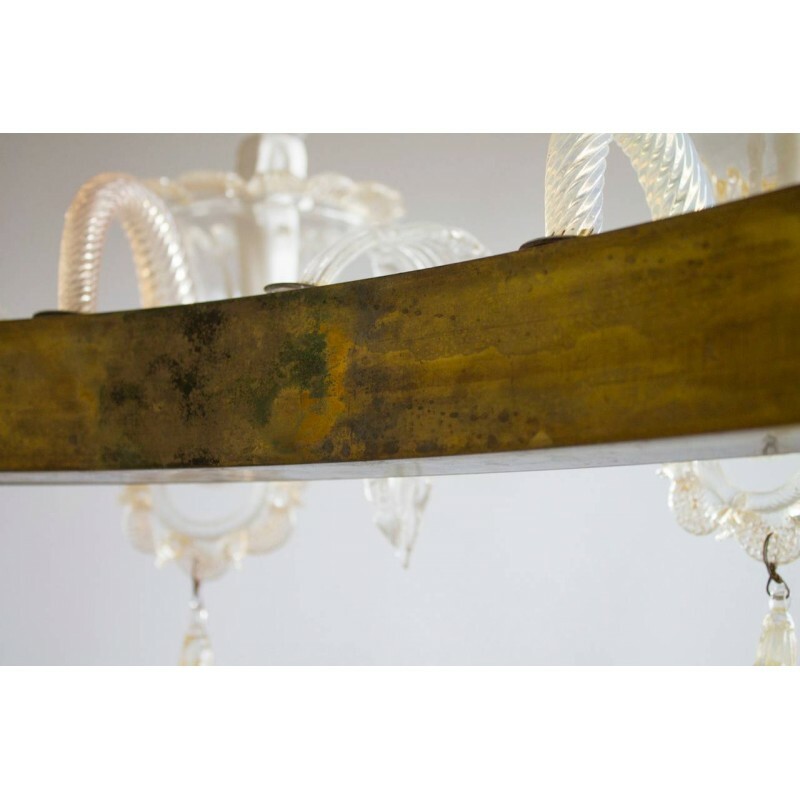 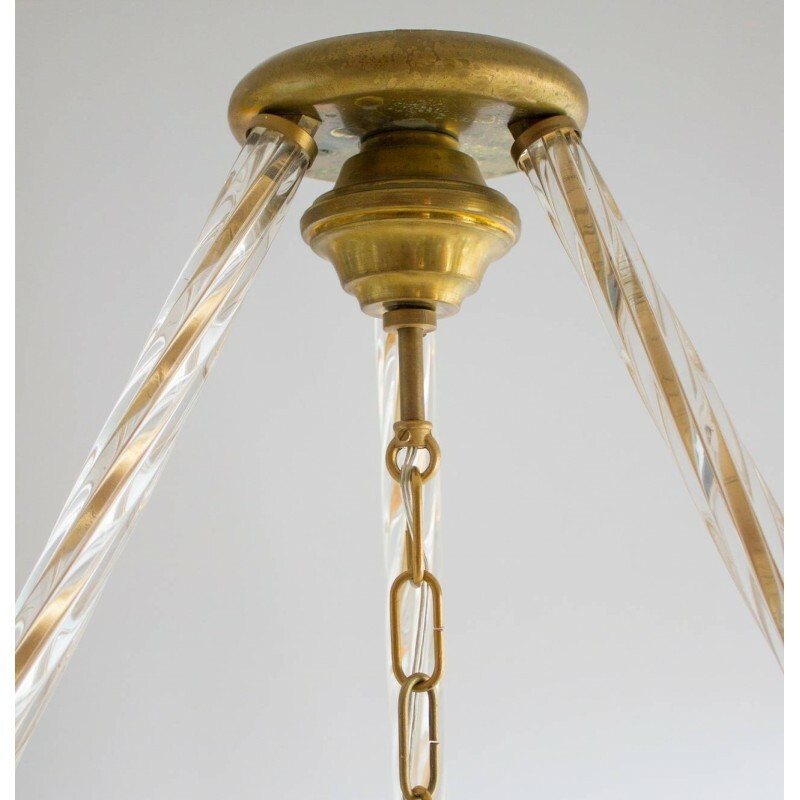 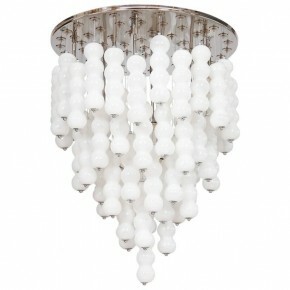 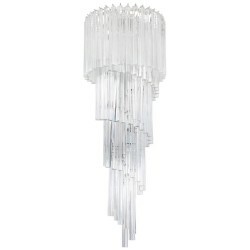 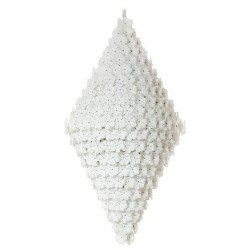 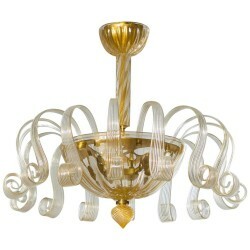 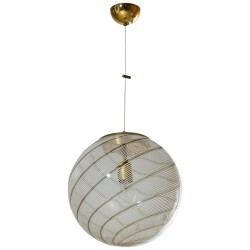 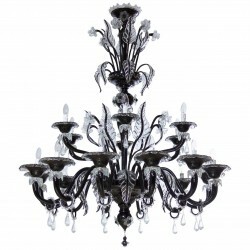 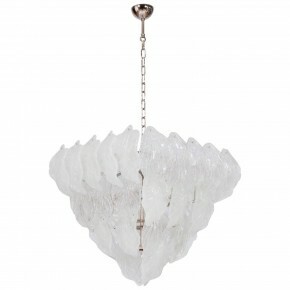 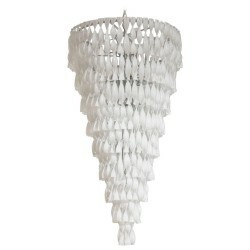 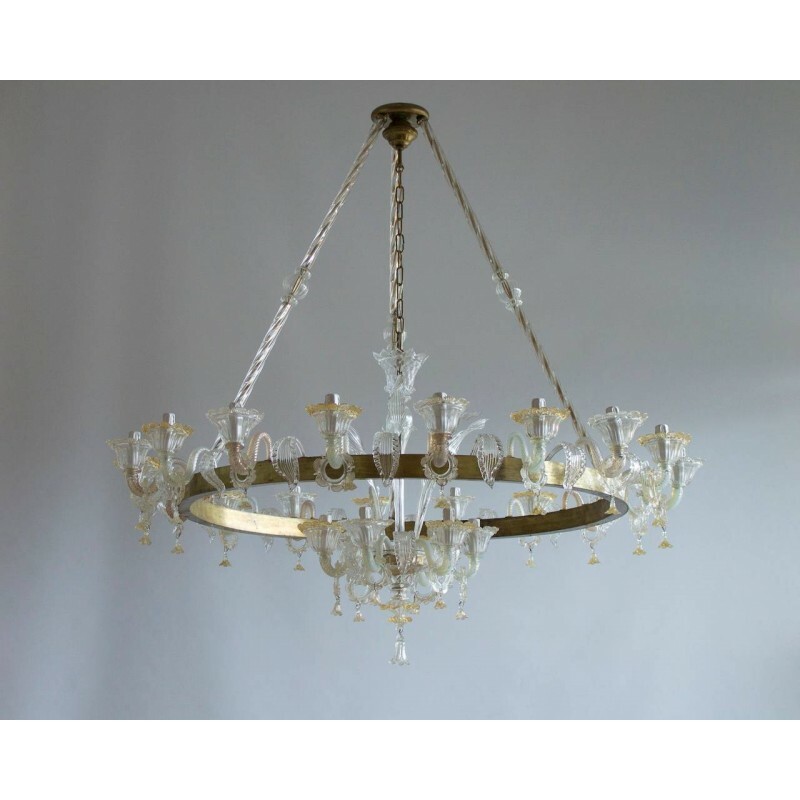 Rare Italian Murano Glass Chandelier in very excellent original condition around 1950s. 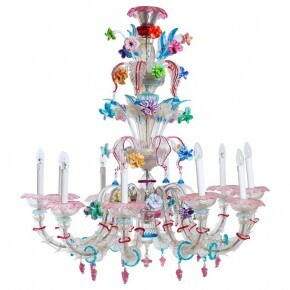 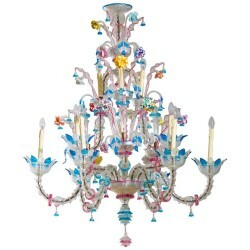 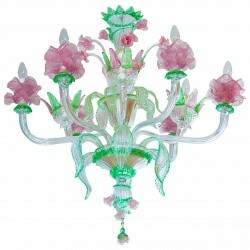 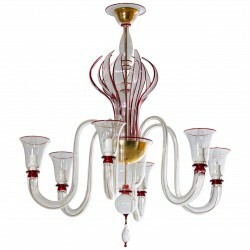 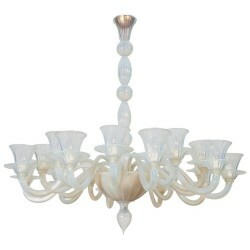 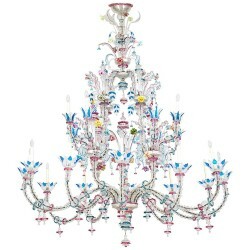 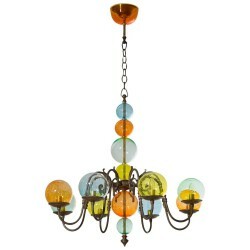 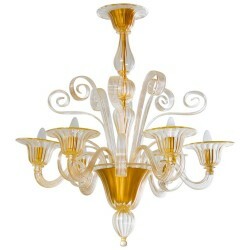 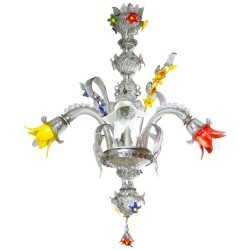 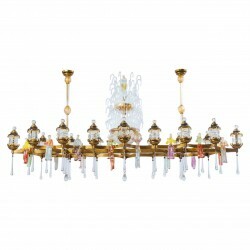 Rare Italian transparent and multicolor Venetian Murano Glass Chandelier in excellent, original condition circa 1950s. 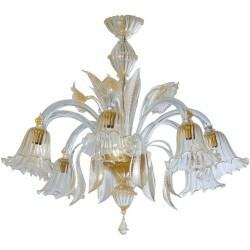 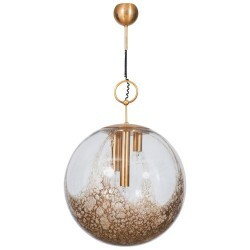 Composed of a circular brass frame with leaves and arms, three long stems that conjoin in a brass cup in the top central part, from here drops a brass chain holding a fantastic little chandelier with six arms and six leaves high and low. 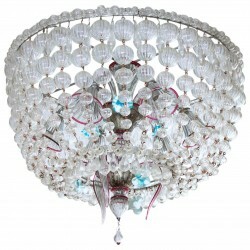 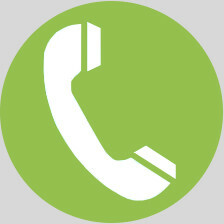 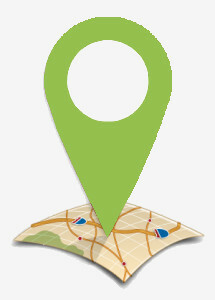 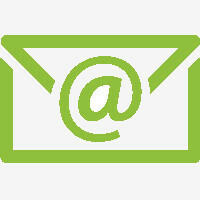 We can professionally rewire this item to yours country's specifications. 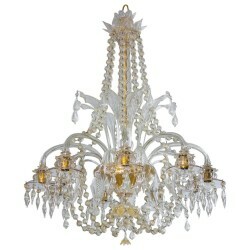 HEIGHT 140 cm / 55.12 in. 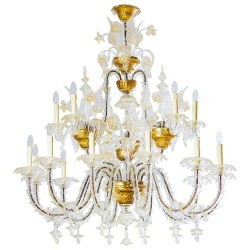 DIAMETER 140 cm / 55.12 in. 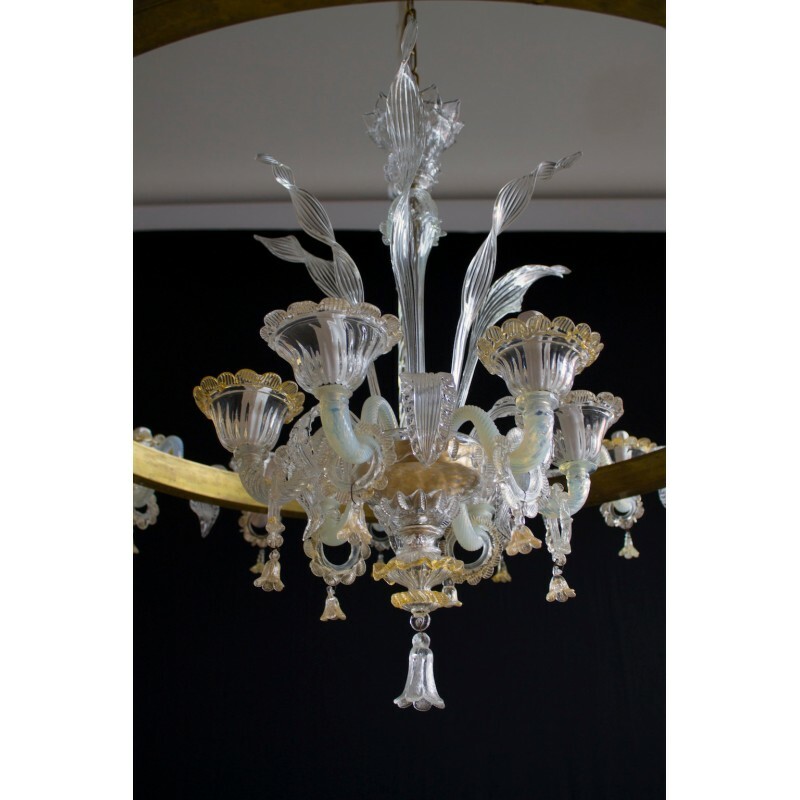 Vintage Murano Gallery is simply excellence in restoring Exclusive Murano Glass Art, having three generations of history. 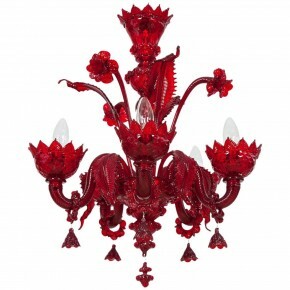 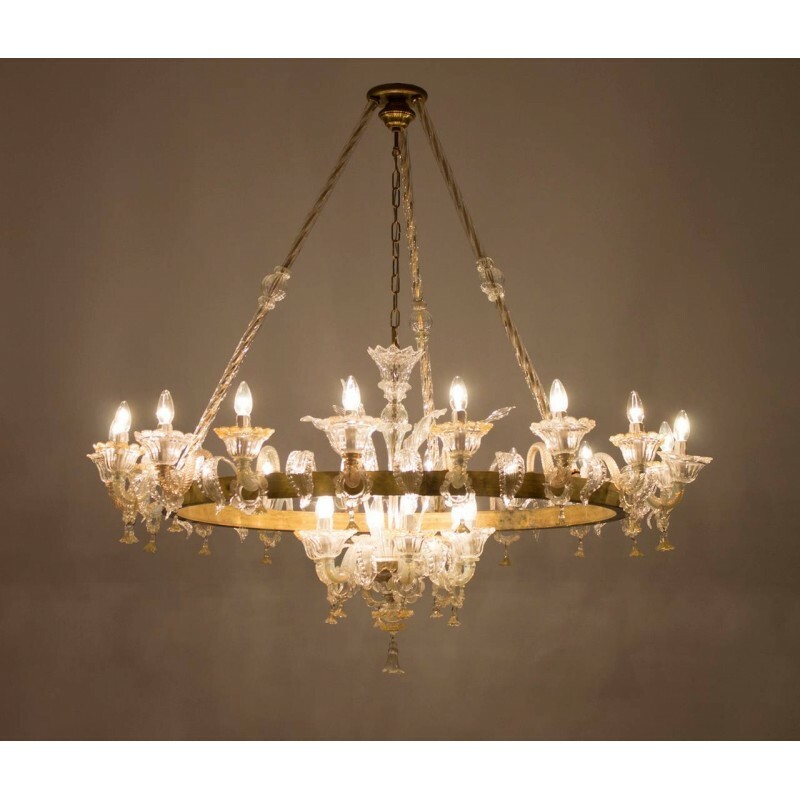 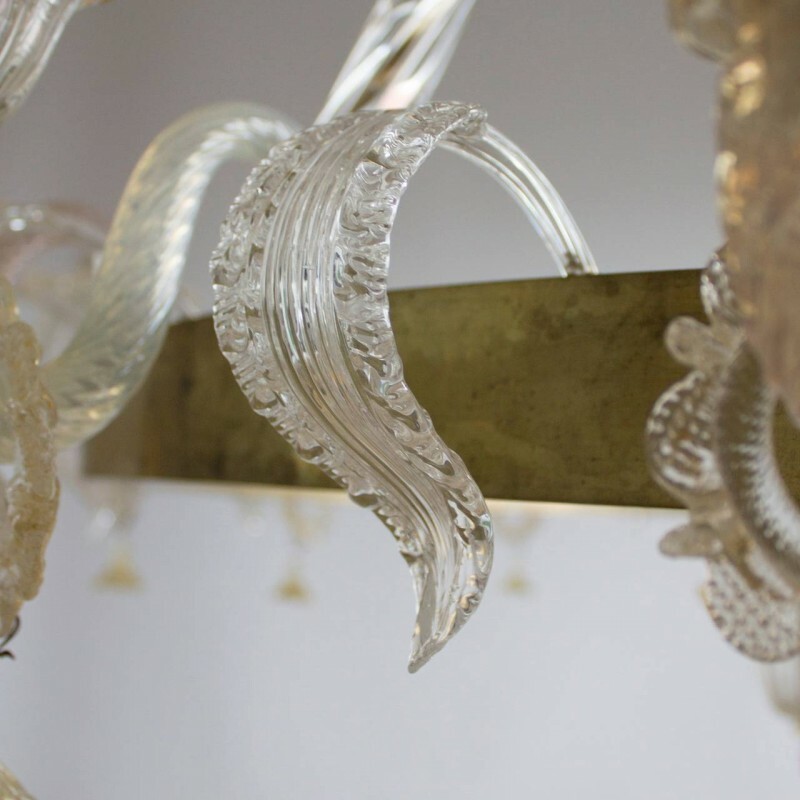 Vintage Murano Gallery restoration’s inventory includes vintage and antique chandeliers, table lamps, sconces, floor lamps, tables, mirrors, sculpture, vases and decors, all in blown and handmade glass from Murano, Italy. 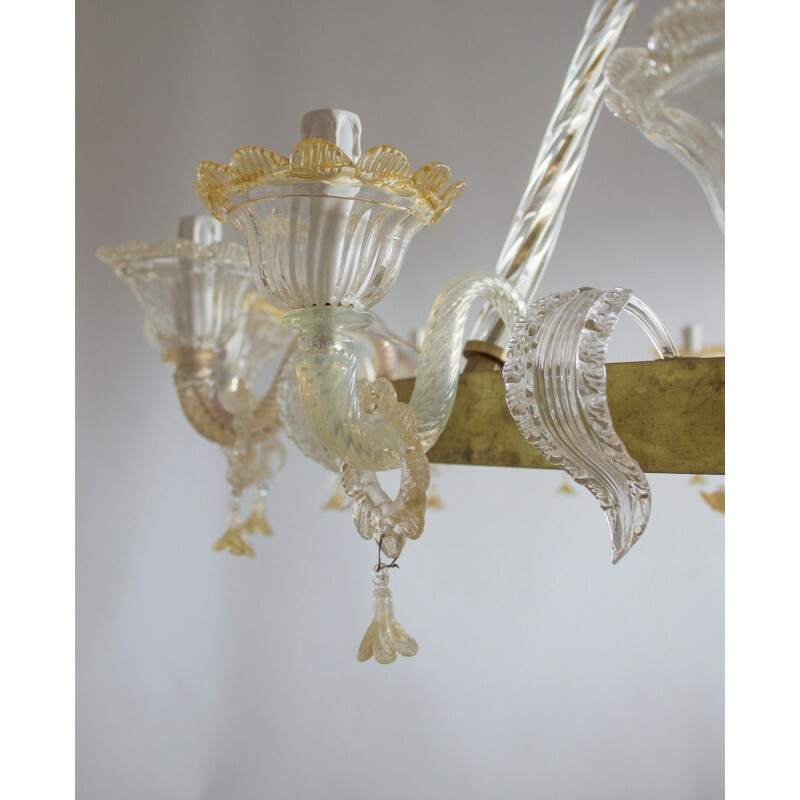 © 2016 Vintage Murano Gallery Srls all rights Reserved.